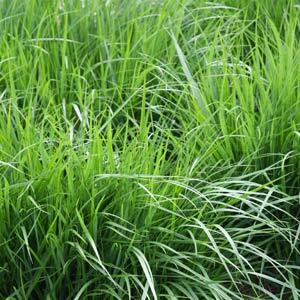 are a very useful landscaping grass. Most species can be used in a variety of landscaping projects. Mass planting to act as a ground cover plant. Planted in the garden border to form a clump where the foliage adds interest year round and flowers the seed heads an extra architectural impact, or even grown in containers. You can also use then to plant along driveways to soften the edges. C. ‘Karl Foerster’ has dark green foliage with a reddish tinge. C. acutifolia is known as ‘feather grass’ and is a clump forming evergreen to semi evergreen grass which is used as an ornamental grass. C. x acutiflora ‘Overdam’ – Variegated Feather Reed Grass has green and white foliage and is a most attractive ornamental grass. When used in landscaping projects Calamagrostis species can make a dramatic impact. All species generally prefers a moist soil and can survive in part shade. You can prune back in autumn, however we prefer to leave the tall flower heads over winter as they add interest. Try pruning back in late winter to early spring just before new growth commences. You can generally prune back hard to around 15cm. Clumps are best divided avery 4 years or so. Use the newer growth to replant, digging over the soil and replenishing with some well rotted compost. Water in well with a liquid seaweed fertiliser.